Sometimes I have to step away from the carbs! Especially with Thanksgiving dinner around the corner. I have absolutely no willpower, I want to try everything! This casserole freezes really well if you want to double the recipe, which I have been know to do. 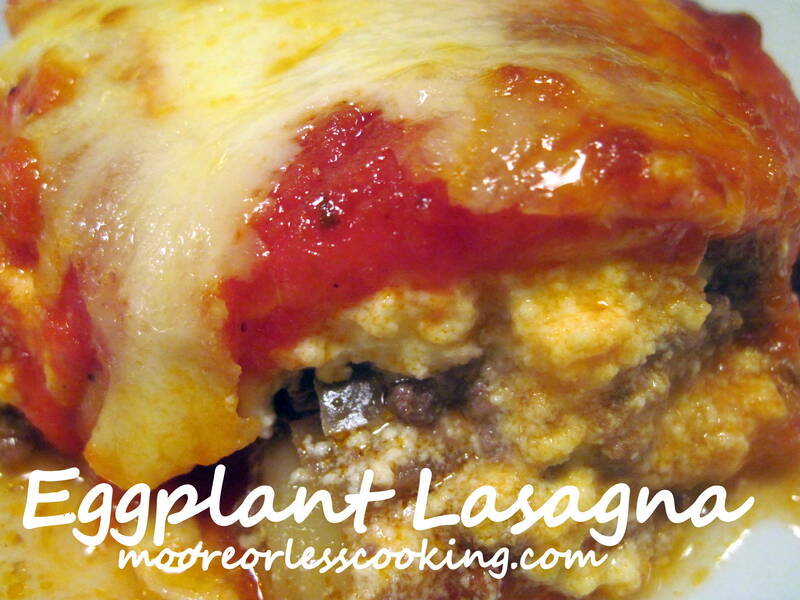 You can also try this recipe with ground turkey or chicken, it’s all delicious. Slice eggplant long ways into slices, saute in a pan, on medium heat with olive oil until soft, about 2-3 minutes per each side. Set aside. Saute chopped onion and ground beef in a pan until beef is browned, drain fat. Set aside. In a bowl, beat eggs, add ricotta and parmesan cheese. Set aside. In a 9 x 12 baking dish, pour 1/4 marinara sauce on bottom of dish, place cooked eggplant over sauce, add dollops cheese mixture, gently spread, add sauce, meat and add eggplant and remainder of cheese mixture, sauce, cover with mozzarella cheese, bake in 350 degree oven for 45 minutes until golden brown and bubbly. I don’t see where you added the ground meat into the casserole? Should it just be sprinkled in the layers? How’s the chop meat incorporated into the layers? ‘ ‘Just sprinkled in between the layers? Thanks for your quick reply! I figured that!